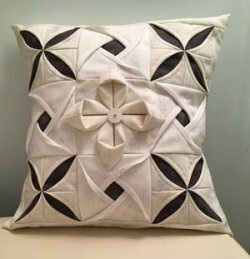 In this month's SewBusy Box, we'll teach you to make three different folded fabric blocks to assemble into a gorgeous pillow. Some of the blocks require hand sewing and you'll love using the new Binding Needles from Primitive Gatherings. These needles are long and thin, but doesn't bend. Plus with a large eye it's easy to thread.